More and more investors are turning to self-directed IRAs to protect and grow their retirement assets. The past several years have also seen a huge increase in the amount of attention and literature about such types of IRAs. Why is this? It wasn’t so long ago that self-directed IRAs were an investment tool used almost exclusively by the ultra wealthy and investment savvy. While there are still a lot of people who don’t know exactly what a self-directed IRA is, they are becoming more commonplace because investors are looking for non-traditional investment alternatives. The DJIA has seen violent swings during this century. To protect their hard earned assets, savers are looking at alternative way to prepare for retirement. Self-directed IRAs combine the tax-saving advantages of 401(k) plans and traditional IRAs with an unmatched amount of investment choices. Here, we’ll take a deeper look at why more people are moving to self-directed IRAs. The primary characteristic of a normal Individual Retirement Account (IRA) is its tax-deferral. Financial contributions to IRAs grow tax free and are either taxed at the time of contribution (Roth) or withdrawal (traditional). It’s a huge advantage, and one that a self-directed IRA shares. The difference is that normal IRA investment options are limited to actual stock market securities: stocks, bonds, mutual funds, ETFs, money markets, etc. With a self-directed IRA, you get all of those options plus the ability to invest in commercial property, residential property, small businesses that aren’t publicly traded, unregistered securities, and approved physical precious metal such as gold or silver bullion. By placing a portion of your portfolio into assets that are not directly tied to stock market performance, self-directed IRAs can offer hedges that traditional IRAs simply can’t. This is the very feature that is leading more people to either roll over traditional IRAs, or to open up additional self-directed IRAs. Perhaps more importantly, a self-directed IRA can offer you a tax-advantaged way to hold assets that aren’t denominated in government fiat currency. When you invest in physical assets — like real estate or gold — your wealth is stored inside an investment vehicle that can’t be inflated to worthlessness by central banks. Are there any drawbacks to having a self-directed IRA? Sure, most notably that losses cannot be deducted from your taxes like with a traditional IRA. That feature, however, was small consolation to the average IRA investor who lost more than 25% of their portfolio value in the stock market crash during the Great Recession of 2007-09. Remember that a self-directed IRA is still intended to be an investment portfolio, and there are still risks involved with any investment strategy. The incredible appreciation that precious metals have seen over the past half-decade have played a major role in the rise of self-directed IRAs, but it has also attracted investment frauds and scammers. This means that you need to find a trusted resource for your precious metals investment information. September is the perfect time to move from stocks and into gold. 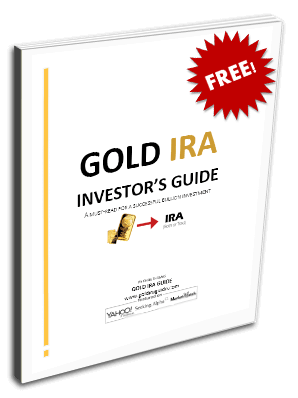 To find out how to get started with your own self-directed, precious metals IRA, request your Free Gold IRA Investor’s Kit today.